Aveda Footwear is a local shoes company based in Jakarta, Indonesia established since 1997. We started off making party shoes with more than a decade of collaboration with Swarovski. As time goes, we now have produced more varieties of shoes, Gowns and Evening Bags. 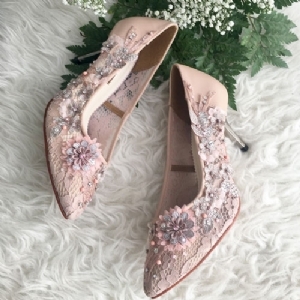 Our lines of shoes include casual, party, bridal and leather collections. Our products are available online on our website and instagram @avedafootwear or you are welcome to visit our shops in Jakarta, Medan and Bali.